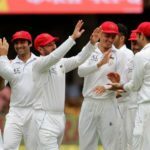 Afghanistan have won their first Test match after a convincing seven-wicket victory over Ireland on the fourth morning of their one-off Test against newcomers Ireland at Dehra Dun on Monday, writes SIMON LEWIS. Rashid Khan has bowled Afghanistan to the brink of their first-ever Test victory against fellow Test newcomers Ireland at Dehra Dun on Sunday, writes SIMON LEWIS. In a vital Test for two nations, each seeking a golden opportunity for a first Test match victory, Afghanistan had Ireland on the ropes at 85-9 before the tail more than doubled their score, writes SIMON LEWIS. 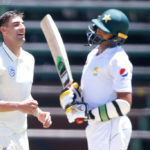 The introduction of a ‘shot clock’ for Test cricket has been tabled by the MCC World Cricket Council in a bid to speed up play in the five-day game. 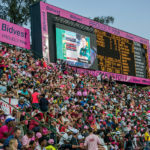 The Pink ODI and New Year’s Test could be set to move from the Wanderers and Newlands respectively. 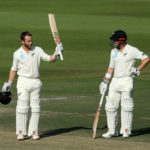 New Zealand skipper Kane Williamson is set to topple Indian skipper Virat Kohli as the world’s No 1-ranked Test batsman after his unbeaten 200 against Bangladesh shot his points ranking up to a career high of 915 points. 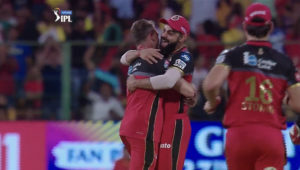 It’s not often a bowler gets hit for 100 runs in an innings, but 200 runs is a rarity indeed. So Mehidy Hasan Miraz’s monster spell against a dominant New Zealand side at Hamilton deserves credit for the bowler’s ability to keep plugging away. 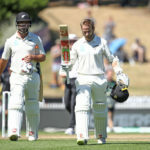 Three big centuries from New Zealand’s top three took the hosts to their highest Test score as the home side ended day three of the first Test against Bangladesh in Hamilton in the driving seat. 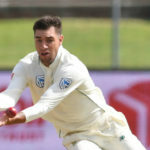 Kolpak conundrum: Did Duanne time it just right? 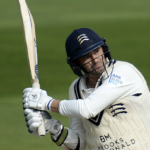 With Brexit threatening to end the opportunity for cricketers to sign Kolpak deals that allow them access to lucrative county contracts (and invaluable playing opportunities), Duanne Olivier’s timing appears to be just right. 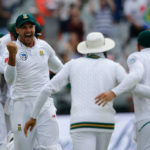 That classic ending to one of the Hollywood’s most iconic movies is filled with bitter irony for South African cricket fans confused by the sudden loss of in-form paceman Duanne Olivier, writes SIMON LEWIS. 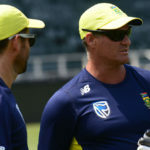 Dale Benkenstein needs to answer questions about the deterioration of the Proteas’ batting under his watch, writes KHALID MOHIDIN. South Africa’s Duanne Olivier was one of very few Proteas’ highlights during their historic series Test series loss against Sri Lanka, and climbs to No 19 in the ICC bowler rankings. Sri Lanka became the first Asian team in history to win a series in South Africa by sealing a 2-0 whitewash victory over the Proteas with an eight-wicket win at St George’s Park. KHALID MOHIDIN reports. 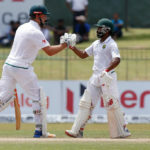 Temba Bavuma has been the subject of unfounded criticism from the public in recent months, with calls ringing around social media for him to be dropped. 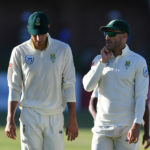 SACricketmag.com editor SIMON LEWIS analysed the Proteas batsman’s performances and arrived at a stunning conclusion. 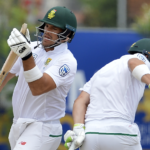 The Proteas’ opening pair of Dean Elgar and Aiden Markram is, on paper, a solid partnership, with Elgar averaging 38.77 in Tests and Markram 43.80. However, their recent form has seen them box far below their potential, writes SIMON LEWIS.